It’s time to when maximum flagship smartphones from the different company will be launched, this year series started from the launch of Samsung Galaxy and will go on until the launch of iPhone 8 or iPhone X whatever you call it. 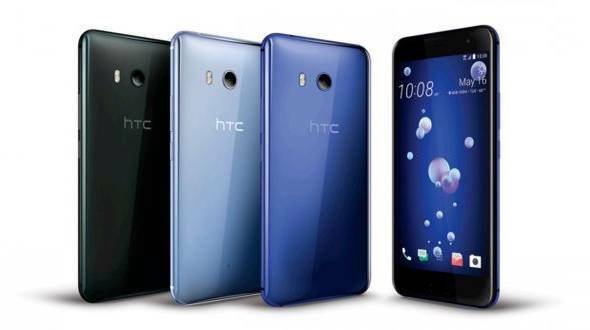 With the continuation of this trend, HTC has launched it next flagship smartphone U11 which is built on the lines of HTC U Ultra announced in January this year. The company has been teasing the phone previously touting its squeeze-ability and has put every possible technology the company has on the new U11. The phone is up for pre-order in the US at $749 (about Rs. 48,000) while in Europe it will sell for EUR 749 (about Rs. 53,000). It will be available starting next week in select markets but arrive in other markets, including India, by June. While launching the phone in the live stream, the company was keen to talk up the new input method, dubbed Edge Sense. Give the edges of the phone a little squeeze, and you can perform actions like launching the camera, taking a photo, or opening Google Assistant (or Alexa, which is also on board). According to HTC, Edge Sense is a more intuitive way of snapping pictures on the go, saving you from fishing around for an on-screen shutter button, or readjusting your hands to reach the physical volume button. Though the phone looks more of less like the U Ultra, HTC says it has overhauled the manufacturing process of the U11 to make it more ergonomic. This was very much required as the U Ultra was a super-slippery smartphone and with a 5.5-inch display, it was not an easy handle. But there are some upgradations to the design actually. The front and rear glass of phone are bends on the corners. HTC says the process starts at 500 degrees with the glass and shell in place and are fused together as cooled slowly. The 3.5mm headphone jack is still missing on the phone. But HTC has bundled the new type C headphones with U11 that it says are cheap, have no batteries and are light-weight. In the US they will retail for $49. This time around, HTC's USonic audio tech comes with Active Noise Cancellation. There’s no fancy dual-sensor camera aboard this particular HTC device, instead, you’ve got a 12MP sensor branded with HTC’s “Ultrapixel 3” technology and with a f/1.7 aperture; the same size as Samsung’s Galaxy S8. It also features 4K video recording, optical stabilization, dual-LED flash, and slow-motion video. And while we haven’t tried it ourselves yet, of course, the word is coming in that this is one fantastic camera setup. DxOMark, which is a camera testing website, gave the HTC U11 camera a score of 90, which puts it at the top of its imaging testing chart surpassing the Google Pixel. Meanwhile, on the front, the selfie camera is a 16MP setup with a wide-angle lens, selfie panoramic capture, and 1080p video.